One of the delights of the Northwoods (that’s how they spell it sometimes, here, with no space) is the abundance of bogs. 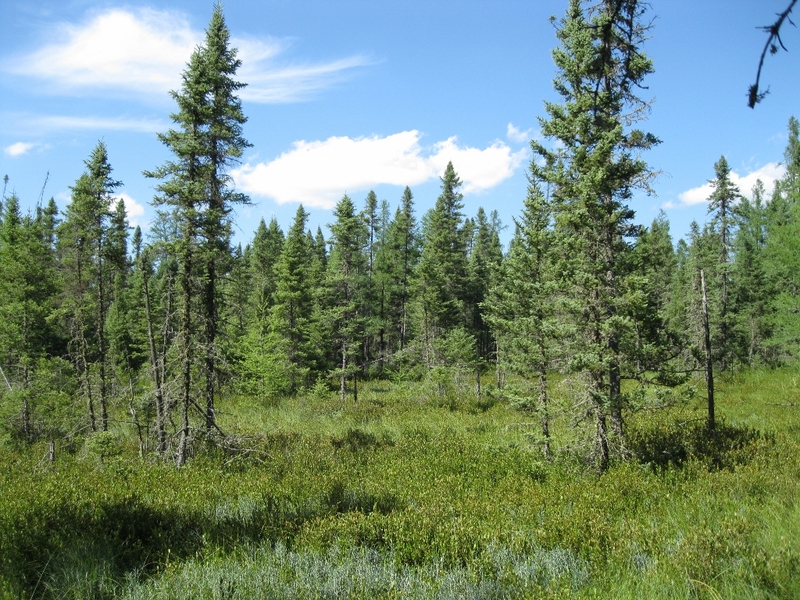 The forest will suddenly open to a flat area sparsely wooded with spruce and tamarack, with shrubs such as leatherleaf and bog rosemary beneath them. 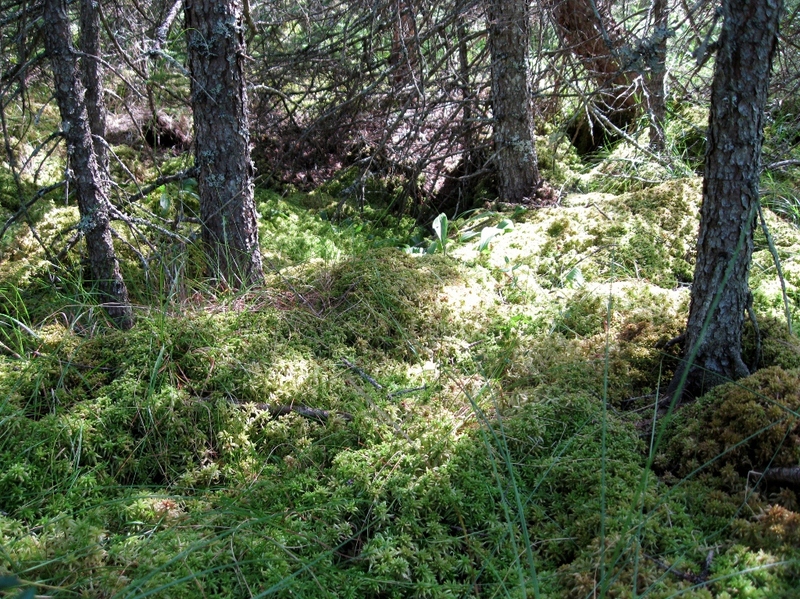 Instead of soil and leaf litter, you’ll find a spongy, wet green carpet of sphagnum moss. And if you’re lucky… perhaps a decidedly odd-looking flower. Recognize it? 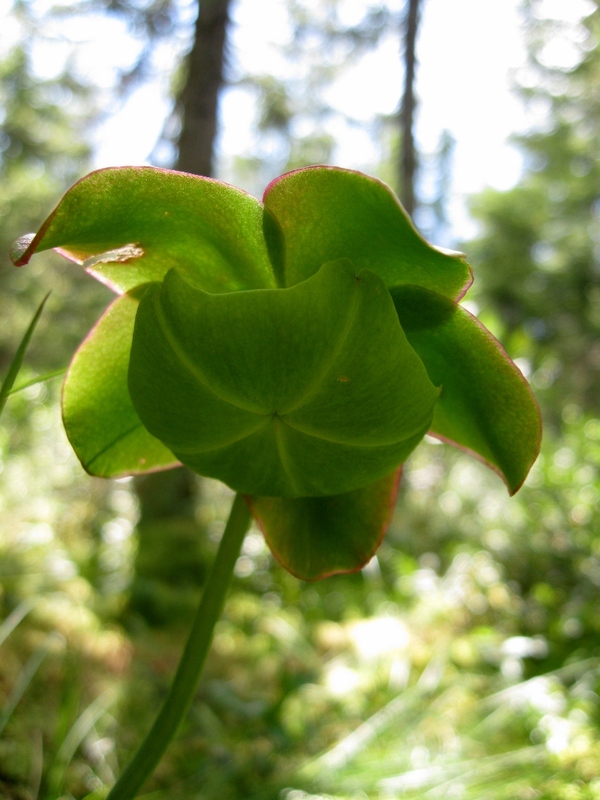 This is the flower of a pitcher plant, which has a adapted to the nutrient-poor conditions of the bog by catching and digesting insects in its water-holding leaves. Bogs form where the water is acidic, which hinders decomposition, meaning when plants die the nutrients their bodies contain are very slow to be recycled back into the system. The patch of pitcher plants that produced this flower was in pretty sorry shape. If I’d ventured further into the squishy sphagnum, I could have found some nicer-looking ones, I’m sure. Perhaps another day. 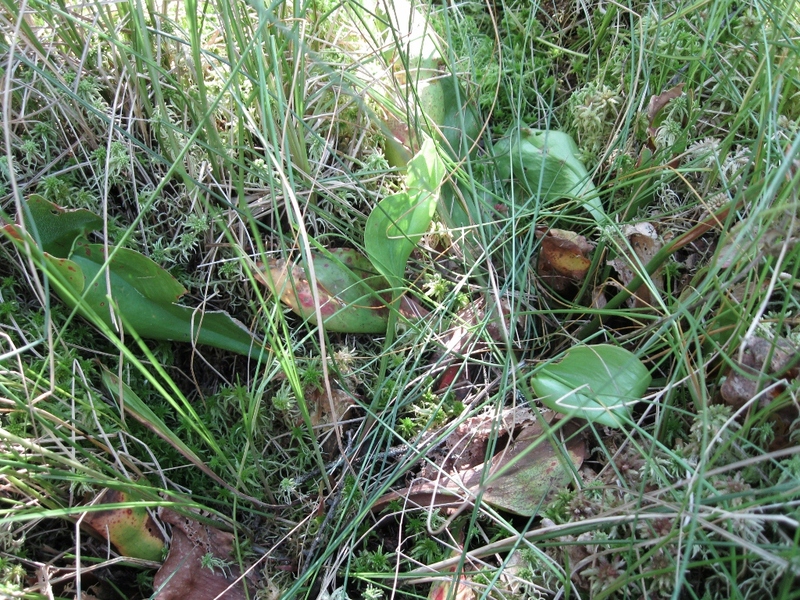 I had no idea pitcher plants were so far north. Nor did I know they flowered…how in the world did you notice that green, leafy-looking bloom?? They stand up above the pitcher plant leaves on long stalks – I did take a photo that showed the flower in more context, I’ll post it for you later when I have more time. Flartus, if you’re curious you can see the other photo here. Might give you a better idea of how one would spot such a flower! I always learn something from your posts. The pitcher plant looks exactly like a pitcher. I must look up tamarack and read its attributes. I’ve come across the name several times in the last few days. I also like your focus on correct spelling and delineating the regionalisms such as Northwoods. Are there a lot of mosquitoes up there? We have virtually none in this drought. Tamarack is also often referred to as American Larch, if you’re looking it up. Anyway, yes, lots of mosquitoes, plus horseflies (or are they deerflies? whatever the large, biting flies are) and ticks. Tickborne illness is a serious threat here. Bogs are fascinating- I’ve only been to one in my area as they are pretty scarce here. It’s always interesting to see different environments!